INDOSAW, established in 1993, is a leading supplier for science education laboratory equipment. An ISO 9001: 2008 Company certified by TUV South Asia Pvt. Ltd., Indosaw covers complete science laboratory curriculum for Physics, Chemistry and Biology for schools and higher educational institutes. 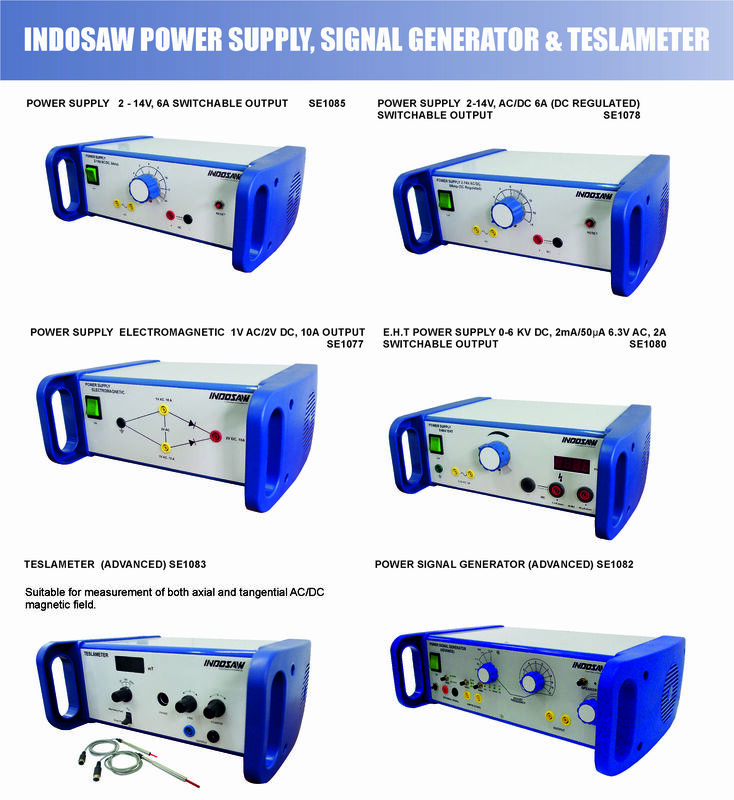 Indosaw covers a wide range of power supplies for general purpose laboratory and workshop use, specifically for Physics and Electronics experiments. All Indosaw power supplies are tested for CE / UL and CSA safety requirements such as the insulation resistance test, earth bond test, dielectric strength test etc. Also, special Power Supplies can be developed upon request.